Feather River Doors | Why Feather River Doors? Through our extensive research and development, our doors are superior in quality, performance and energy efficient. We don’t sacrifice aesthetics either. 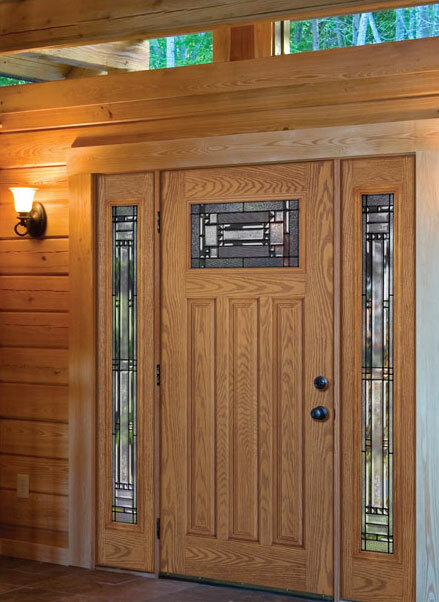 Decorative glass designs and real wood grain-like finishes make our doors beautiful to look at and will increase the curb appeal of your home. We produce durable and high performing doors that last. Click image for details. Over a million of our doors are in homes just like yours. Our Doors are premium quality, beautifully designed and competitively priced. You get the most for your money. We are dedicated to excellent customer service and warranty coverage.